Welcome to ShoeInsoles.co.uk, a one-stop shop for all foot conditions and issues. 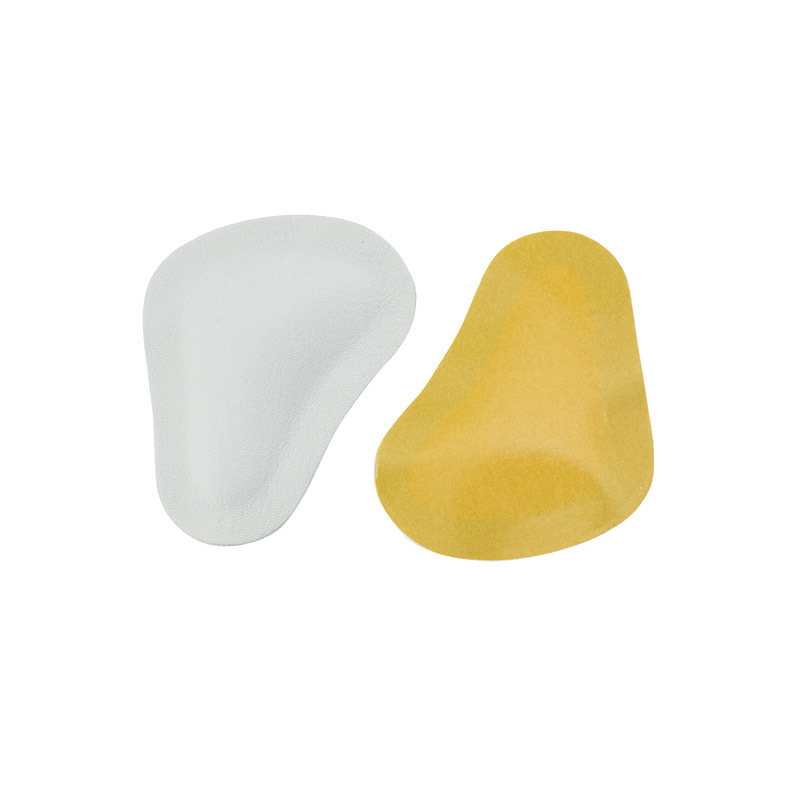 Our mission is to help all of our customers to find a pair of insoles that give them the support and cushioning that they require. 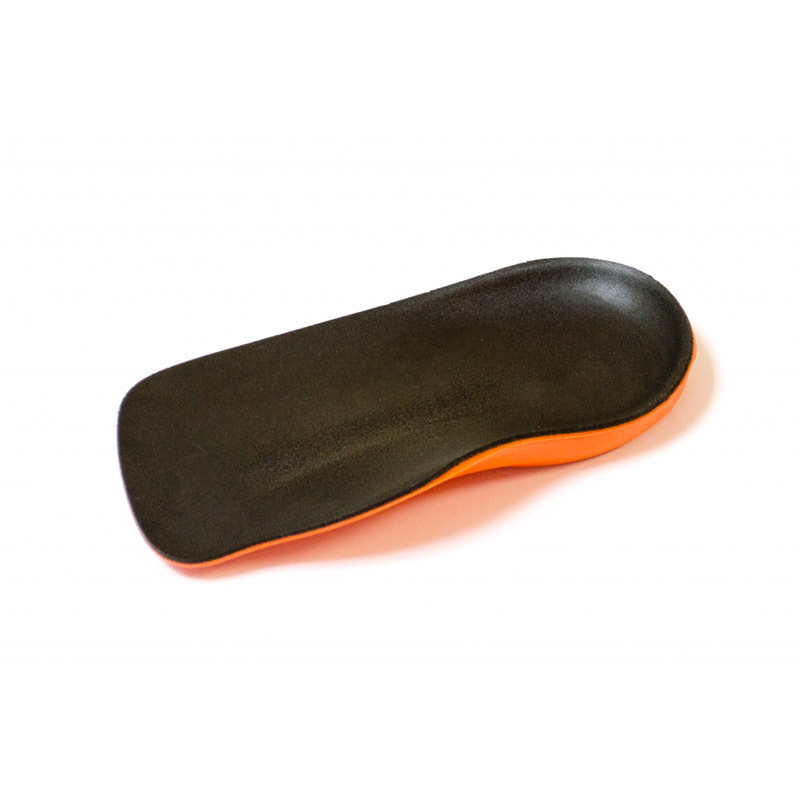 With such a wide selection of insoles, however, sometimes it can be a little difficult to navigate your way around our site. If you have been diagnosed with a foot condition or already know the condition from which you are suffering, we have a number of categories with insoles that have been specified for your issue. See our full list of condition categories here. If your condition isn't one of the ones listed, don't worry! You can see our full selection by visiting our Insoles by Condition area. If you are suffering from discomfort and foot pain, we may still be able to help. See our interactive guide on how to find your foot condition. 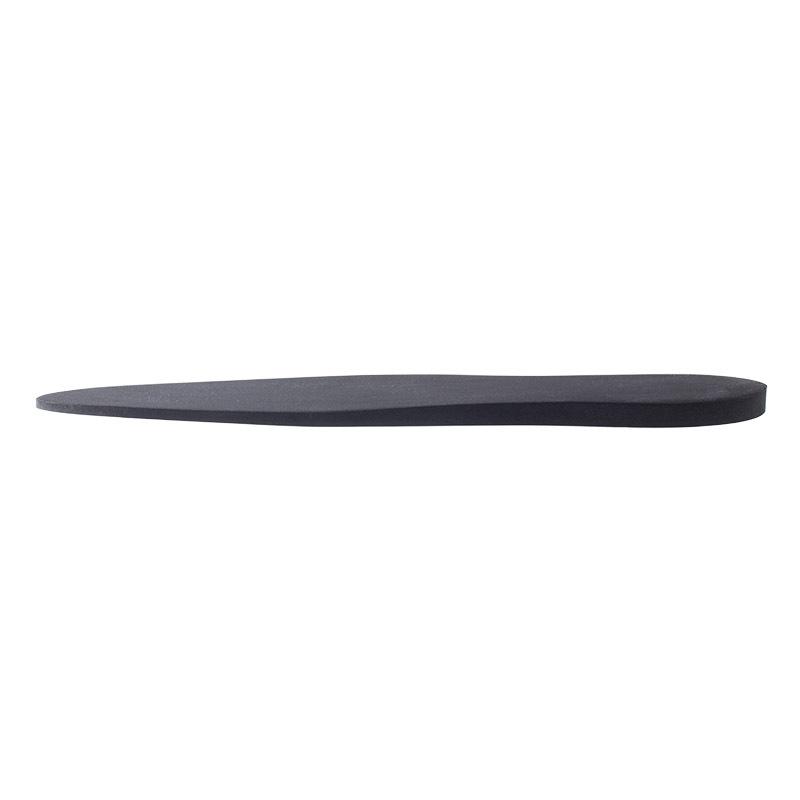 Alternatively, if you haven't found the style of insole that you are looking for, check out our full list of Shoe Insoles by Shape. Sometimes you may want insoles not for any specific foot condition but for a specific use. For example, if you play a lot of sports, you may find that you feel as though you need additional support for your feet. 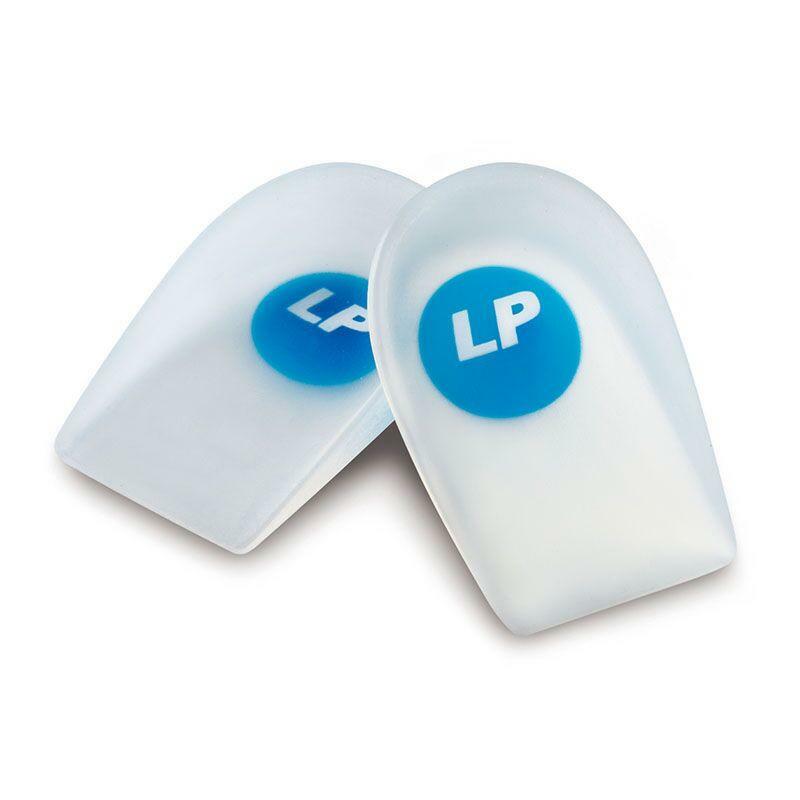 If you are looking for insoles for a specific sport, please click here. 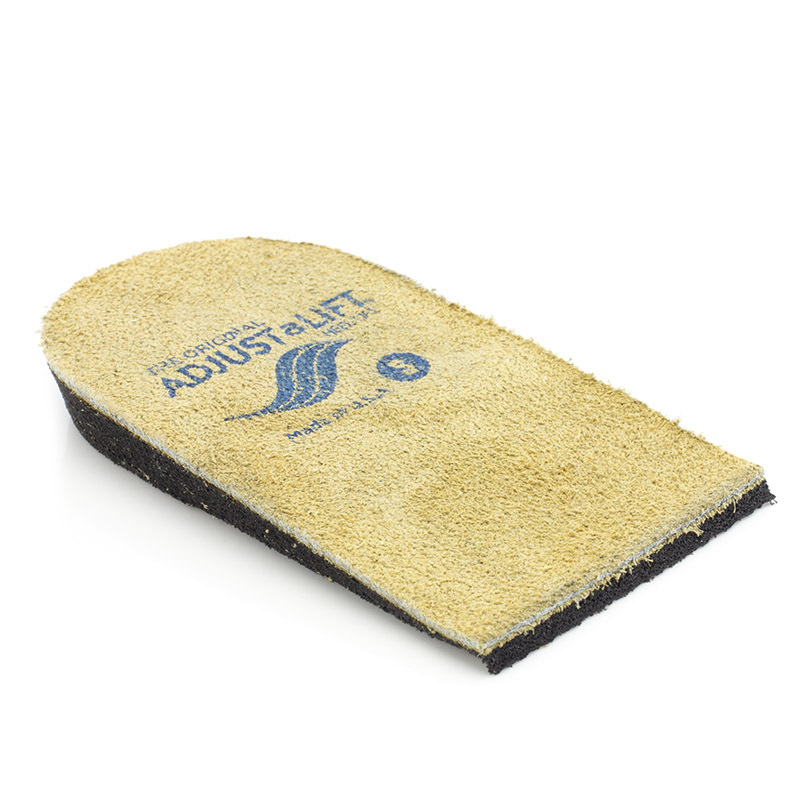 Alternatively, you might be looking for some insoles to improve the fit of your shoes, or to help avoid bad odours. 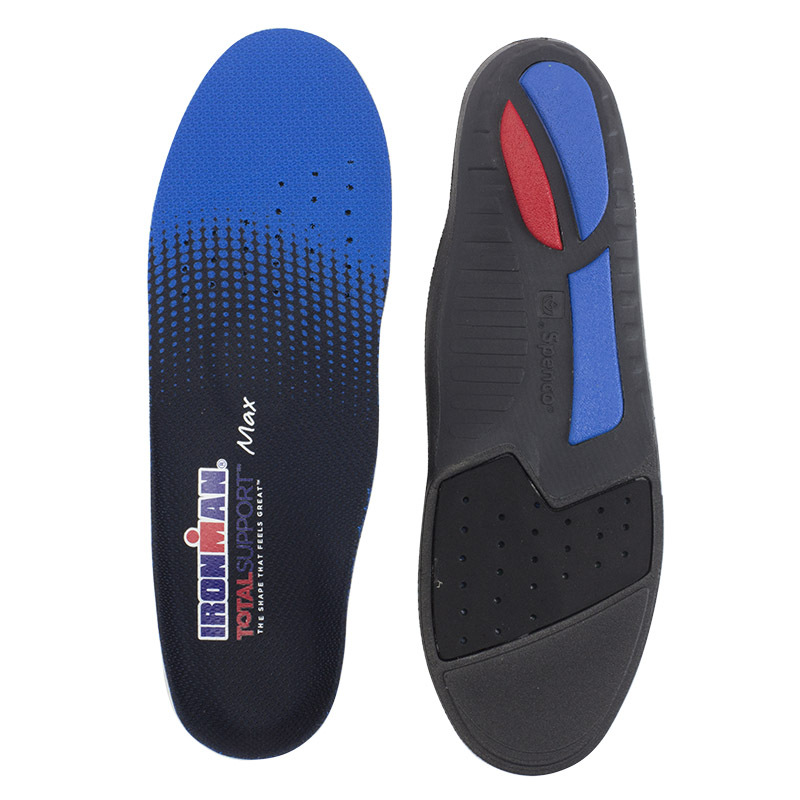 To see our full list of insoles by use, please click here. We work with top manufacturers of insoles and have a wide selection of top quality brands available at the best possible prices. If you already know the brand that you are looking for, you can see our full list of available brands by clicking here. While these are our most popular brands, we are always expanding our selection. Click here to see our full range of brands. Sometimes, due to the huge selection of insoles that we sell, you can be overwhelmed with choice when visiting a category. 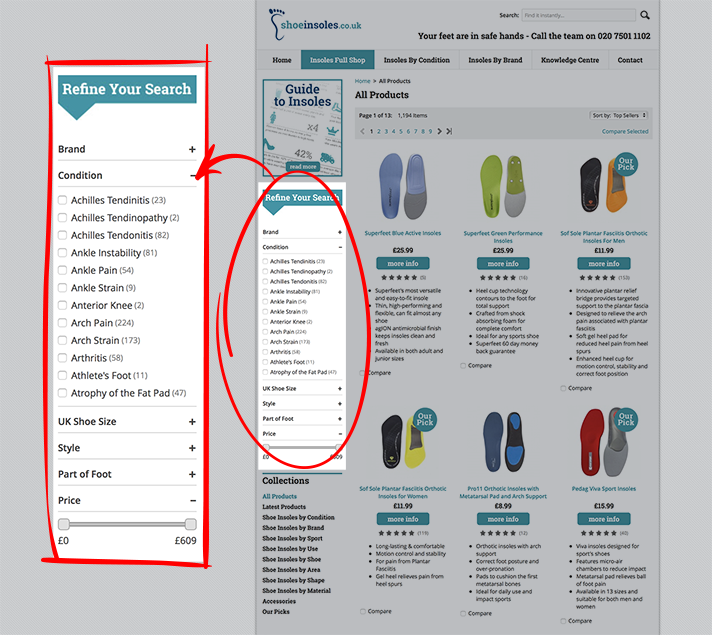 In order to make it easier for customers to find what they are looking for, ShoeInsoles.co.uk features a handy refine feature that allows you to narrow your search to find the perfect solution. Where Can I Find the Refine Feature? The refine block can be found on the left hand side of any category and is under the heading "Refine Your Search". Please see the image below for an indication of where to find the refine block. Our product experts at ShoeInsoles.co.uk have years of experience when it comes to insoles, and in that time they have written a vast library of guides designed to help you find the correct insoles. If none of these guides meet your needs, why not check out our full list of recommendations by clicking here? Find Your Foot Condition: An interactive guide to help and steer you in the direction of a suitable pair of insoles. Shoe Size Conversion Chart: A handy guide for converting shoe sizes between UK, EU, and American sizes. Learn How to Trim Your Insoles: Make sure that your insoles fit your shoes as well as possible with this step-by-step guide. Know Your Arches: Do you know whether your arch is high or low? This helpful article can help you to tell. How to Improve the Fit of Your Shoes: A guide about how insoles can be used to adjust and improve the fit of your shoes. Supination vs. Pronation: The words supination and pronation are used a lot when talking about insoles, but what do they actually mean? This guide clears up any confusion. Sometimes you might not be sure if you are suffering from a condition and want to read up on your issue before buying an orthotic to tackle the problem. With our vast experience in all things foot-related, we have written a number of helpful guides on most common conditions. While these are our most popular condition guides, our experts have written dozens of articles about a vast array of conditions. For a full list of our condition guides, click here. If you've scoured our site and still can't find what you are looking for, there is no need to panic! One of our highly trained customer services operatives is waiting to answer your questions. You can call us on 020 7501 1102 on Monday to Friday, 9.00am - 5.00pm (excluding bank holidays) or you can email us at helpdesk@shoeinsoles.co.uk. We hope that you find the perfect pair of insoles for your needs!